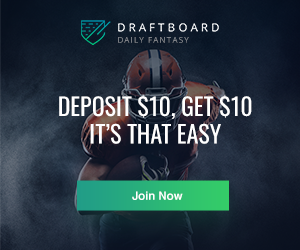 Each week of the NFL season I will take a look at how to improve your fantasy football teams. Below I highlight wide receivers (WRs) and defenses (DEF) that need to be considered on the Week 10 waiver wire for your fantasy football teams. Some may have a good matchup for Week 9, or have been putting up relevant points and should be rostered. Analysis: Aaron Dobson is building chemistry with Tom Brady and it's showing. This past week Dobson had 2 touchdowns, 130 yards, and 5 catches on 9 targets. For the long haul I see tremendous upside for Dobson because Tom Brady is an elite quarterback, and has been looking for a true #1 wide receiver to emerge all year. We are seeing Dobson still develop (he's a rookie after all) so there's actually potential for more to come. If you are looking for a wide receiver waiver wire pickup in week 10, and to leverage during the fantasy playoffs, Dobson would be a very nice option for you to consider. Go get him. Analysis: Last week I failed to mention that the loss of Sidney Rice would present an opportunity for Doug Baldwin. Well now the secret is out and he shined this past week against Tampa Bay. Over the past two weeks Baldwin has received 18 total targets with 13 catches, 166 yards, and 1 touchdown. Those are some solid numbers. My only concern with Baldwin is that Percy Harvin is still not back from his injury, and once he is I expect him to take a lot of targets away from Baldwin and the other wide receiver options. But until Harvin returns Baldwin will have plenty of opportunities. He is a solid wide receiver option for you on the week 10 waiver wire, especially in PPR leagues. Analysis: As much as I don't want to write, this I cannot deny that Cooper has some real chemistry with Nick Foles. Maybe it's Cooper's golden locks that immediately bring attention to Foles eyes? The only big issue here is: will Foles remain the starting quarterback in Philadelphia? Because with Michael Vick or Matt Barkley or starting at QB, Cooper will not have the same results. Rumor has it that the starting quarterback may change week-to-week, even though Foles tied a NFL record with 7 touchdowns in one game! But this is still up in the air right now, and Vick has already been ruled out for week 10. Whatever the case, the past two times that Foles started Cooper has 259 yards, 9 catches, 4 touchdowns on 12 targets. If those numbers don't stick out you are missing out. The only catch here is without Foles, Cooper will be just a marginal wide receiver option. So if you believe Foles will remain the starting QB, go for Cooper on the week 10 waiver wire. T.Y. Hilton - WR, IND - Clearly the new #1 at Indianapolis without Reggie Wayne. Josh Gordon - WR, CLE - Did not have a great game last week with another new starting QB at CLE. Give him some time to build chemistry with Campbell. Keenan Allen - WR, SD - Allen is fire hot right now, another amazing week. Percy Harvin - WR, SEA - Rumors are flurrying that his injury 'flared up' again. Keep an eye on this situation. I still believe he's a player to keep. Terrance Williams - WR, DAL - Had a bad game that was salvaged by a TD. He continues to get targets and is primed to rebound next week. Emmanuel Sanders - WR, PIT - Has had two excellent weeks back to back. I expect him to keep it going. Harry Douglas - WR, ATL - Roddy White is still hurt and Douglas continues to get targets. Monitor this situation. Jarrett Boykin - WR, GB - Did not have a good game last night, as Aaron Rodgers was injured early. His time may be over. DeAndre Hopkins - WR, HOU - With Case Keenum at QB, Hopkins value has risen. Michael Crabtree - WR, SF - Won't be back until late to mid Nov.
Golden Tate - WR, SEA - Showed a lot of promise in the pre seasonbut he's been a roller coaster all season. Justin Blackmon - WR, JAC - Suspended for the year, drop him. Analysis: This week the Colts will be facing a STL offense that will try to run the ball as much as possible. The only problem is Indianapolis is ranked 3rd in stopping the run. So the question is will the Colts stop Zac Stacy & company? I think they will make it a focal point to make Kellen Clemens beat them with his arm. Because of that fact I trust that the Colts will get turnovers and get you fantasy football points! Analysis: Arizona faces Houston who has the second most points given up to defenses. Houston is battling RB injury issues, head coach out with medical concerns, and a starting QB question mark...although Keenum seems to have locked up the starting QB spot. With so many question marks on Houston's team this week I see this as distractions and an opportunity for Arizona take advantage of the situation. Analysis: On the season Thomas has 71 total tackles, 4 interceptions and 2 forced fumbles. The past 3 weeks combined he's racked up 24 tackles and 4 assists which is 8 tackles a week. If you are looking for and IDP Safety option Thomas is a nice option for you to consider. 1. I will not repeat waiver selections. All mentioned players prior to week 4 will apply to the current waiver options and going forward. 2. 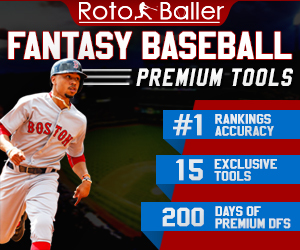 I will only recommend players that are lower than 25% ownership in Yahoo! or ESPN leagues. 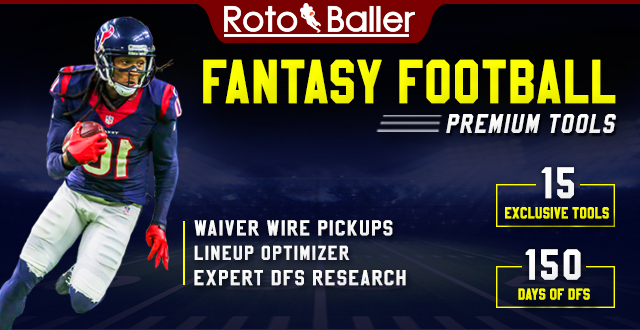 As always, you can find all of our weekly waiver wire recommendations on our famous waiver wire pickups list. 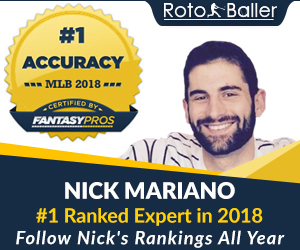 And if you haven’t joined the best and largest fantasy football chat room community on the web, check out the RotoBaller.com Fantasy Football chat room for live fantasy advice, sit/start questions, and more.